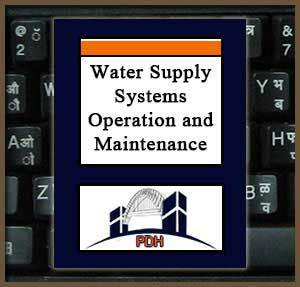 This publication provides an introduction to maintenance inspections and general maintenance services required at domestic water supply systems. It contains information about tools and equipment, lubricants, and materials and supplies required to perform general and specific equipment maintenance tasks. Learn the importance of calibration tests for dry chemical feeders. This course is intended for civil engineers and operations and maintenance personnel wanting an introduction to operation and maintenance of domestic water treatment systems. This course will give civil engineers and others an introduction to inspection intervals and maintenance procedures for domestic water treatment plants. This is an introduction to the methods, procedures and equipment employed in operating and maintaining water treatment plants. After completion of this course you will be better prepared to operate and maintain domestic water treatment systems and equipment.